Nothing major just figured I'd share. 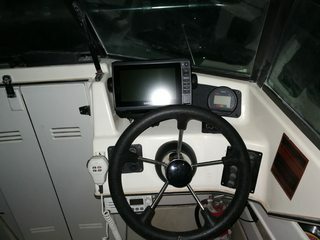 Got tired of my cramped dashboard which became even more cramped now with my new 7" Garmin which was blocking my tach. 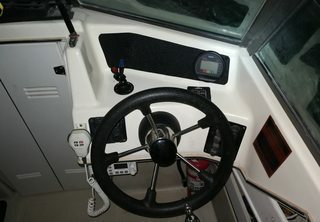 This week I went ahead and removed my VHF radio and tach so I can move the tach to the far right. I've also been contemplating adding a fuel gauge, but still 50/50 on it. 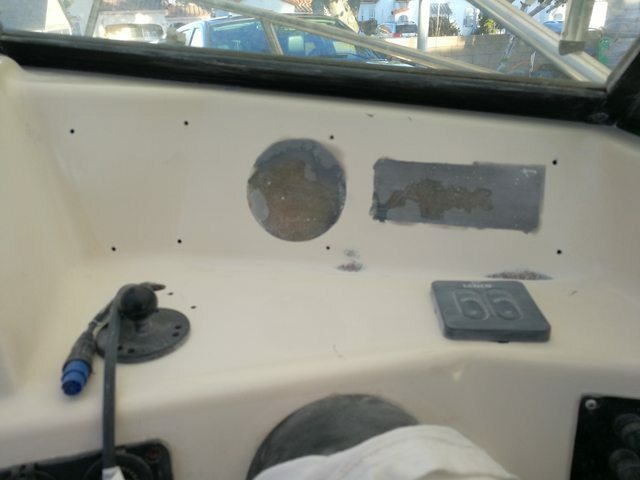 After removing the radio and tach, I fiberglassed and patched up the holes, sanded and repainted. My color matching wasn't the greatest, it came out a little on the grey side and not a cream color, just really ugly. So I removed all of the new paint and I'll mix up a batch of paint later on. 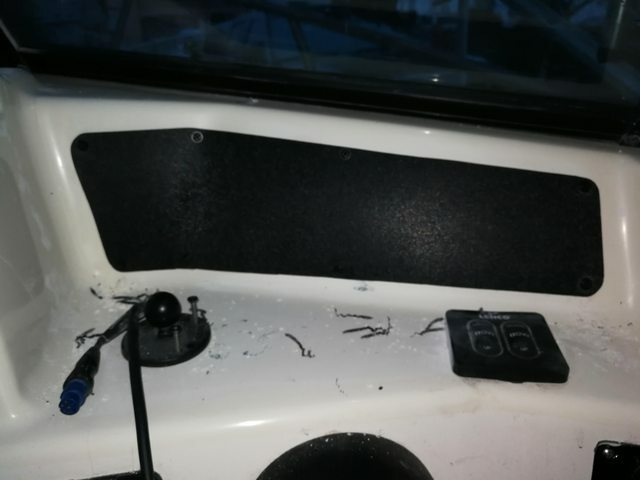 I was thinking of putting back the vinyl stickers on the dash wall, but I wanted something with a little more pop, so I went with black ABS board that I will put on both sides of my dashboard walls. 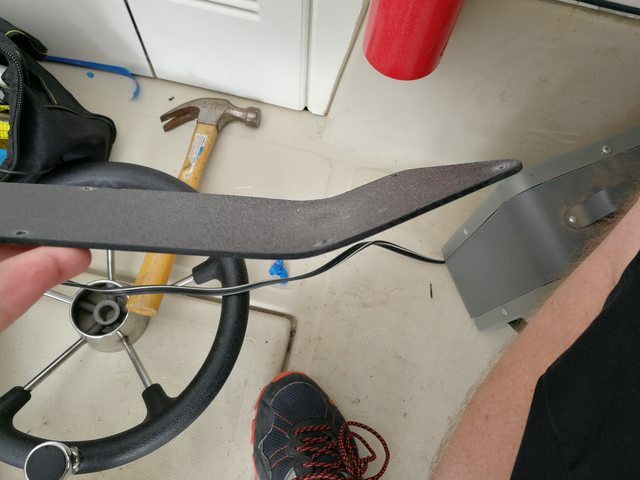 I used my Dremel to cut out the driver side piece, then I used a heat gun, while I had the piece screwed in place, to make the plastic bend and take shape to the wall, worked out great. Tonight I decided to cut a hole for my tach because I wanted to see how it will look before moving forward, so far so good. But as you can see I still have some painting to do. 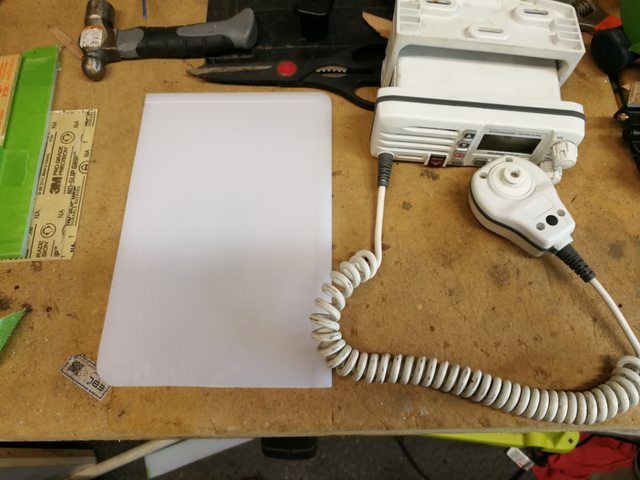 I'm also working on a board that my VHF radio will be attached to in its new location. 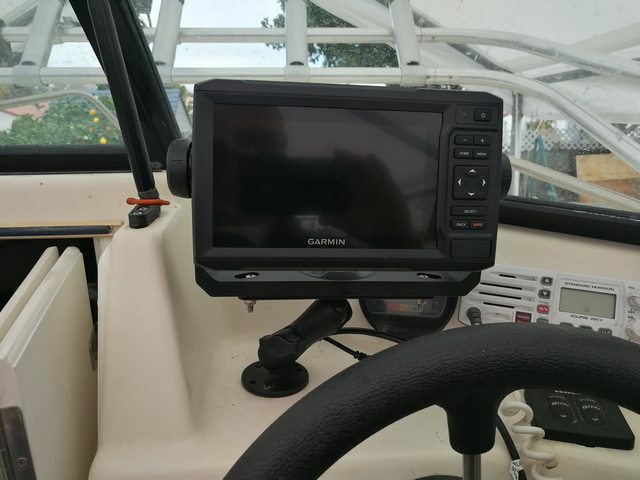 It will work out great for me because I'll still be able to see my radio, have it within reach, but it will be out of the way. I have a extra cutting board so I went ahead and used it, as it should work for what I have planned. X2, looks great. Very nice work on the black plastic.  Same shape as the black, stick on vinyl Arima uses. Nice work! This looks great and I'll be able to take a page from your work. 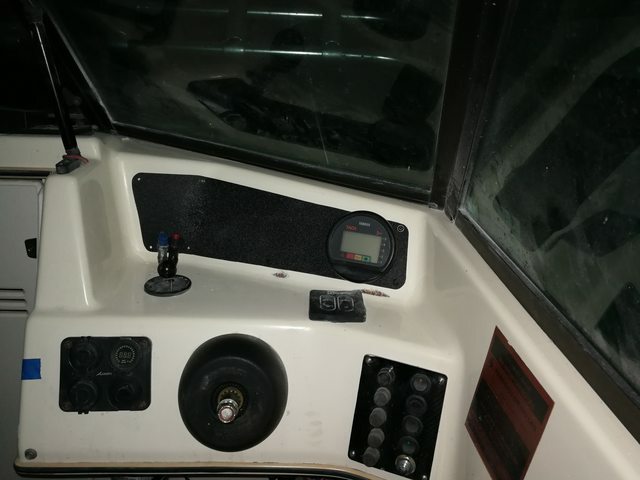 You can also use carbon fibre dash wrap. That's lookin really nice A J. Where is the radio going to end up? My plan is to mount it under the dash near the steering wheel. 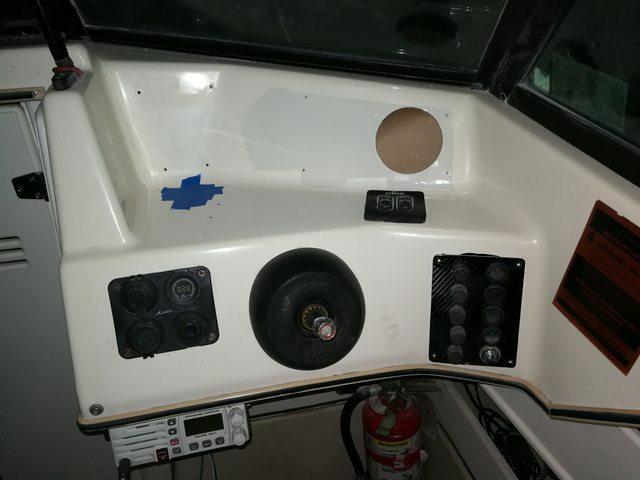 Had a little bit of time today to get some painting done and complete my VHF radio mount and install it. 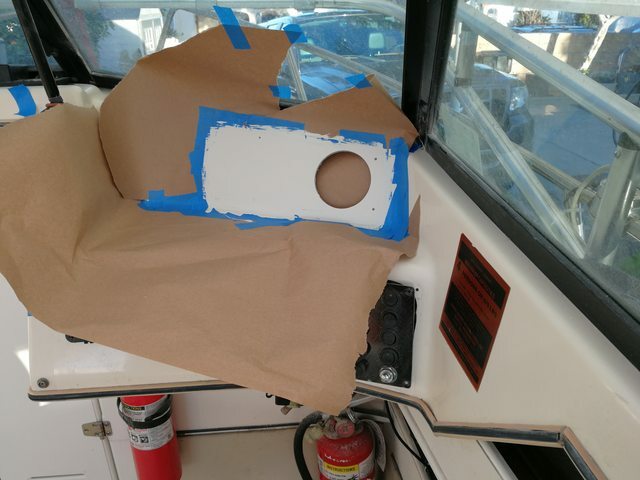 I went with Rust Oluem Topside gloss white paint because it was hard to beat the price. 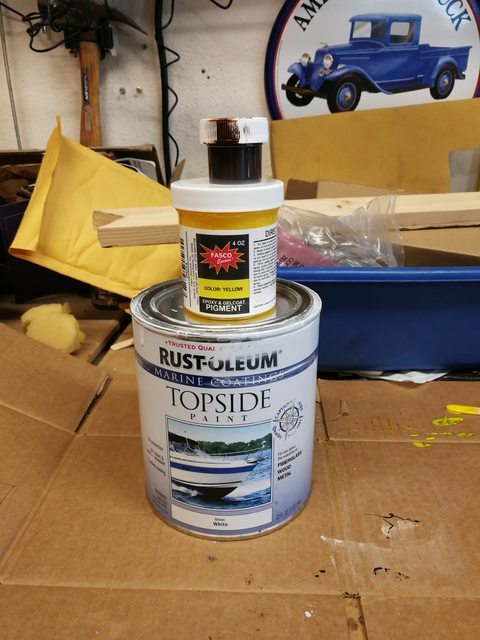 I read a lot reviews, talked with some guys that used it to paint their hulls, decks, consoles, etc, and I even talked with Rust Oluem. Everything checked out good so I went ahead and used it, and it worked out well. 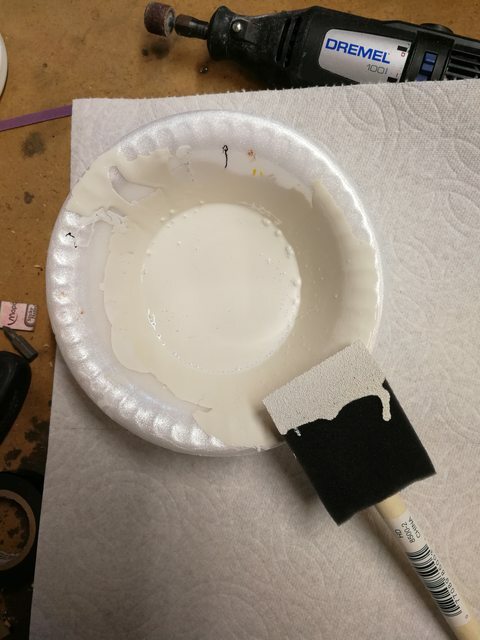 I mix my paint and got it as close to stock color as I could. I used gloss white, a little yellow, and a little bit of brown as this was my best color combo. 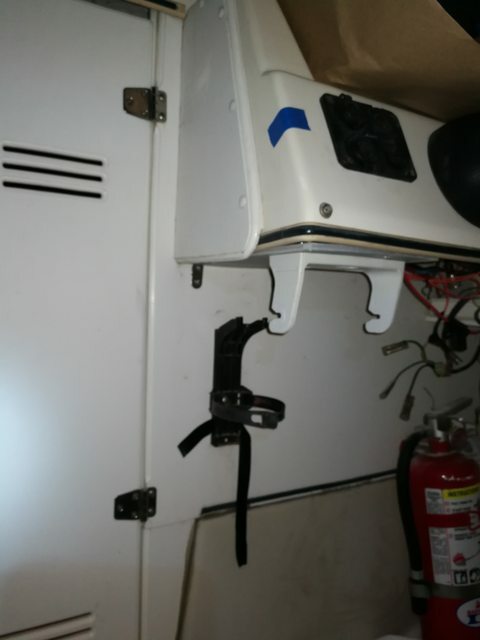 Here's my VHF radio mount that I used 3 stainless steel "L" brackets and one needed a extension to reach a thick wood area under the dash. 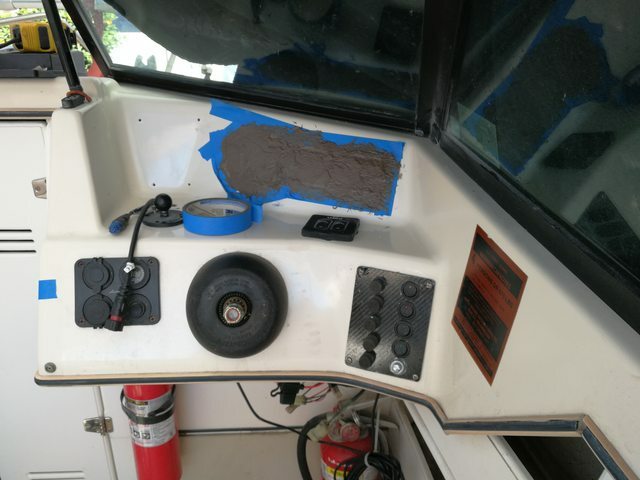 I haven't started sanding and feathering the paint yet, I'm going to need a few days for it to dry hard, and with the temps in high 50's, it's going to take some time. 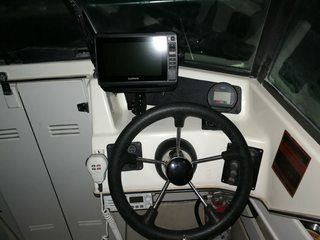 Rearranged my dash last year, Very happy with new config! I wish I had that much room on my dash. I like the radio, that's been a thought of mine for some time to get one, if I decide to replace my Bluetooth speaker. Nice work AJ. 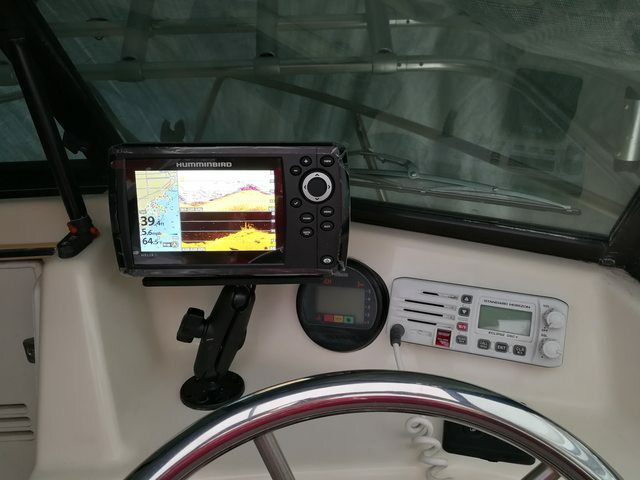 You will like the VHF there. With the limited space we have, I think it’s the perfect spot. Also allows easy access for passengers. Finished up tonight, decided since the black panel is going over the painted area, no need for sanding. 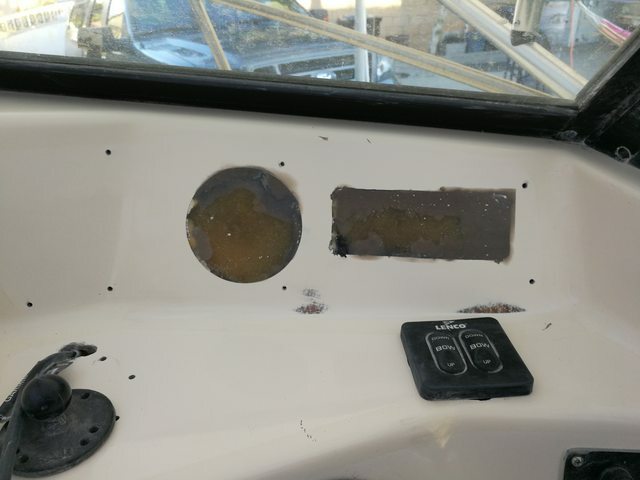 I'm still debating on a fuel gauge and moving my switch panel, it's not an easy decision to cut holes in a boat. 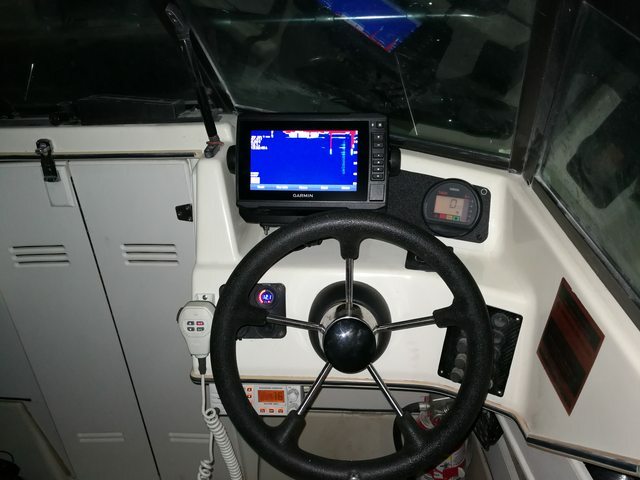 Now I'm able to move around my FF and not have it obstruct my tach or radio. That's an interesting location for the VHF radio. 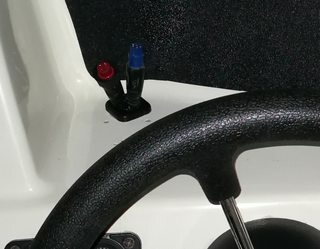 I've never seen one flush mounted into the dash like that before as they usually are mounted with a bracket underneath or run parallel upward. Looks much better and with much more space and less clutter. I have to thank Fisherdv for that location, I saw his and copied it. 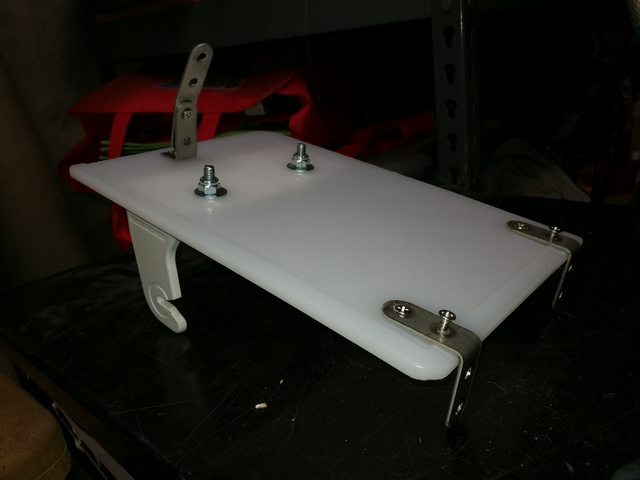 It's completely out of the way, easy to see and reach, plus having less clutter is a bonus.